The Jarifa2 Plus is a premium hard tail eMTB from German giant Focus. It boasts a plethora of features and performance. 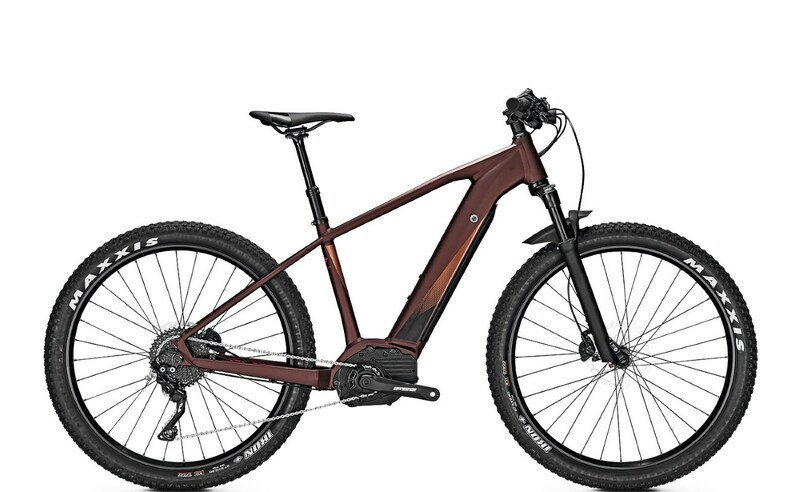 As an inexpensive, top of the range hard tail eMTB, the Jarifa2 Plus is hard to beat on both price and components. Bosch’s Performance CX motor powers the Jarifa, and couples with a huge integrated 500Wh battery. The Plus is ready for anything! It’s 27.5″ Plus size Maxxis IKON tyres are 2.8″ wide and provide huge amounts of grip on even the toughest surface. They’re light, fast, and give consistent handling at all times. This sturdy and reliable wheel copes with heavy off road terrain, yet is agile enough for canal tow-paths and railway cuttings too. SR Suntour Raidon RL suspension forks provide a smooth ride on all terrain. The 15 x 110 mm thru axle with quick release makes for easy access wheels. A super light alloy 6061 frame ensure reliable and resilient handling together with a high degree of maneuverability. The Shimano XT Deore 10-speed derailleur provides ultra smooth gear shifting on a Shimano Deore 11-42T cassette. More than ample for every climb. Shimano hydraulic disc brakes offer powerful and controlled braking actions. The all new PURION display from Bosch features on the Jarifa2 Plus, and sits unobtrusively on the left-hand side of the handlebar, totally out of harms way. Its large, no fuss crystal clear display is easy to read and provides all necessary information for the rider. Focus certainly have a real winner in their high spec, ultra-competitively priced hard tail eMTB. Bosch’s most powerful motor is at the heart of the Jarifa2 Plus, and as a result, this 27.5″ eMTB with Plus tyres is a great all round performer. Furthermore, the huge fully integrated 500Wh battery ensures the Plus is an eMTB that’s going to prove very hard to beat.